News Termoplast | Specialists in polymeric films for flexible packaging. Initiative of Gambassi Terme municipality with the support of Termoplast for the cleaning of the roads of our territory. Even this year, during Fachpack 2018, we invite you visiting us at our booth to discover our latest “flexible” innovations. 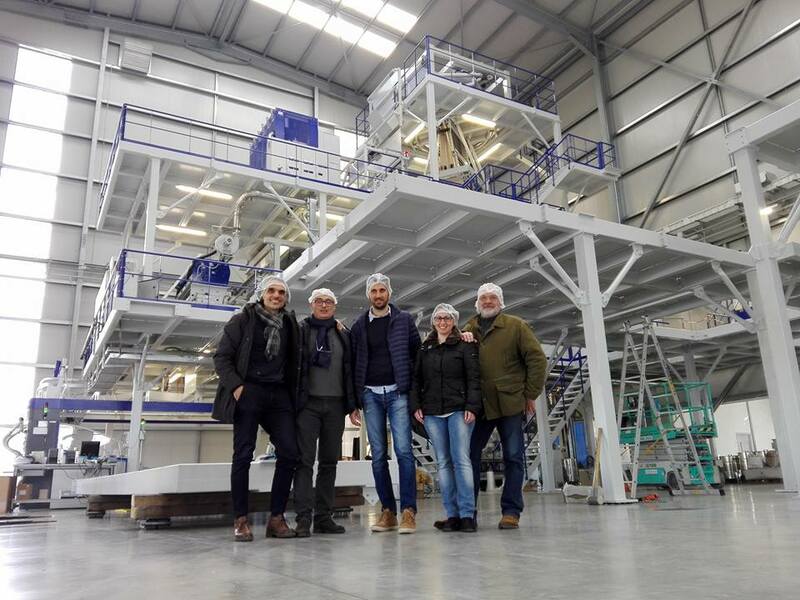 Pleasant and appreciated visit of the mayor and the municipal council of Gambassi Terme in Termoplast following the completion of the new plant. We are glad to announce the realization of the new Gambassi Terme plant, a project representing an important goal and a new thrilling beginning! Interpack, reference exhibition for the processing and packaging sectors, is getting closer. Come visit us at our stand Halle 7a-D21 and discover our latest innovations. Even this year, during Fachpack 2016, we invite you visiting us at our booth to discover our latest “flexible” innovations. From February 24th-25th Termoplast will be visiting “Packaging Innovations 2016”, the famous Birmingham fair where will be presented to the world all the products and innovations in the packaging market. Several themes treated at the API, “Advances in the Packaging Industry – Product and Process”: the 1° International Congress on news from Packaging Industry, supported by Termoplast in quality of sponsor. President Salvino Barnini talks about the future of Termoplast speaking at Platinum, the magazine that collects testimonials of Italian entrepreneurial. We welcome you in Nuremberg at Fach Pack 2015 from September 29th to October 1st, 2015. You can find our exposition area in Hall 7 Stand 7-730. Termoplast supports Ant and invites partners to take part at the Solidarity Auction to support the Foundation. The 23th of May, 2015 at 17:00 at Loggia dei Lanzi in “Piazza della Signoria”, Florence. In May Termoplast will be present among the visitors of Plast and Ipackima 2015. Termoplast take parts at Plastic Pouches 2015, a conference about formats pouches for flexible packaging organized by AMI Consulting in Vienna from April 27th-29th, 2015.